Bottled water is always a great option to stay hydrated, and many who love to drink it swear by Voss. It’s a brand of bottled water from the village of Vatnestrøm in Norway. The water is not actually bottled in the municipality of Voss, but it does carry the name that has now become famous. Voss water with fruit is a common enjoyment, whether the fruit is added to still or sparkling forms of the water. Voss water is artesian water. That means that it has come from an underground aquifer that is confined, so that there are very few impurities in the natural product. It is naturally filtered, has little contact with the air, has little opportunity to collect pollutants, and has a low mineral content. All of this gives it a very clean taste, one that is quite distinct from bottled waters that are filtered through municipal sources. The fact that it comes from an aquifer in Norway makes it even more clean and crisp, as there are fewer pollutants there, as compared to heavily industrialized countries. This high purity in the unprocessed water is exceptional. No matter how good the water is, putting it in the wrong kind of bottle can compromise both the taste and safety. The PET (plastic) bottle is free of BPA. This matters a great deal, as BPA has been proven to exert certain toxins that mimic hormones, and thus can be harmful to humans. By offering plastic bottles that are BPA free, Voss ensures that the water – and even Voss water with fruit – is healthy as can be. To have an even better experience with Voss water, try out the water in the iconic glass bottle. Both plastic and glass bottles are recyclable. Detoxing your body means putting things into it that will take out the nasty toxins that can make you sluggish or sick. 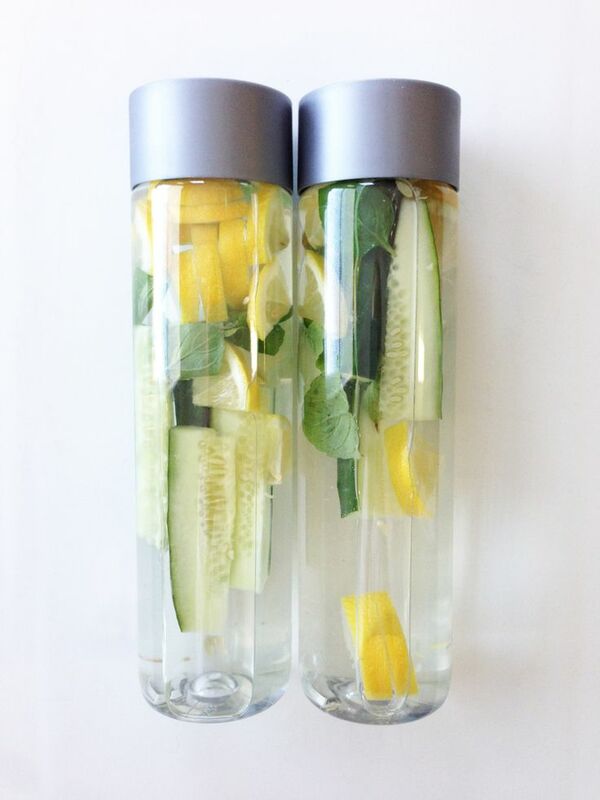 This is easily done by creating detox water with Voss bottles. 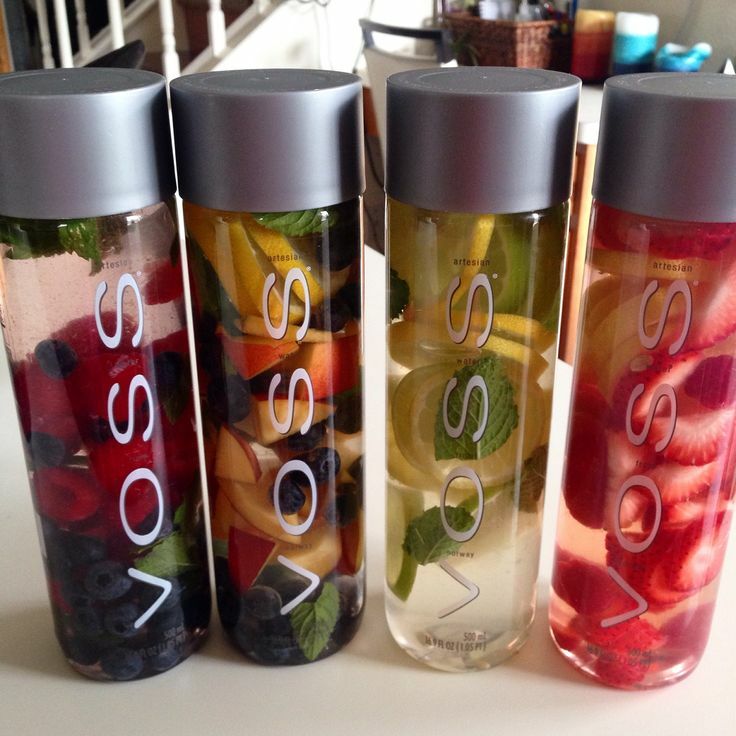 The Voss bottles are large, big enough to hold a nice amount of fruit, are filled with wonderful water, and can look great when the fruit is added. Voss water with fruit might include anything that you fancy, such as cucumber slices, orange slices, lemon, berries, and more. You can also blend together different fruits to create different waters, such as lemon, cucumber and mint, or grapefruit and orange. 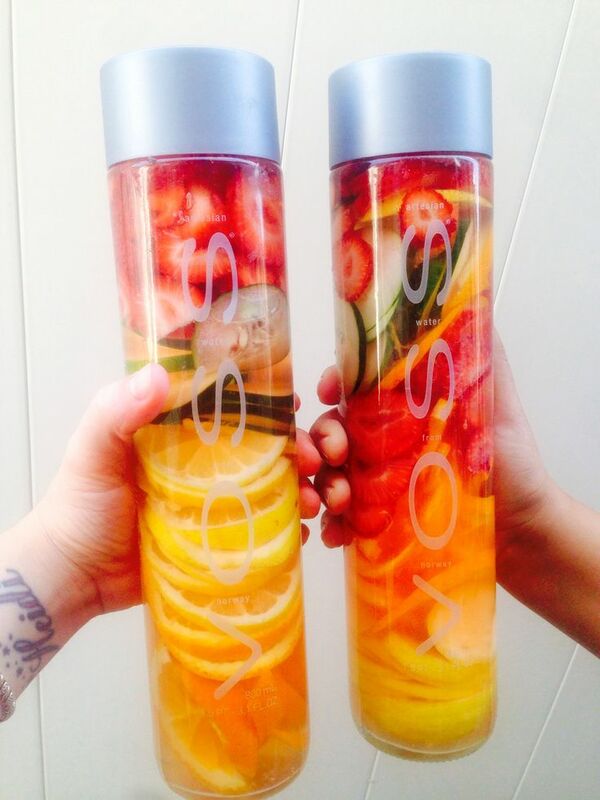 To get the best benefit, cut the fruit so that it fits easily into the Voss bottle. Voss water with fruit is best if you have smashed the fruit a bit to release the juices. Take a big drink of the water first, to make room for the fruit, then gently push the fruit bits into the top of the bottle. Cap the bottle, shake it up vigorously, and that’s it – you have Voss water with fruit for a healthy detox you can sip on all day! To make things even easier, you can create detox water out of several Voss bottles, then put them in the fridge to allow the fruit to steep at least overnight. Then simply grab one bottle each day as you are headed out the door, and you will have Voss water with fruit right at your fingertips when you get thirsty.